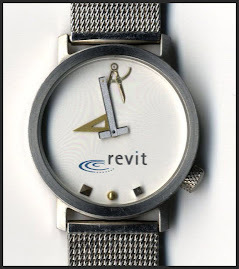 Revit has always treated the schedule view for editing as separate from the sheet representation, at least for column width adjustments. This always made sense to me. I should change the width of columns on a sheet where I can see the impact of the change. When I am editing a schedule and I want to see a bit more or less of a column I could change it freely without an impact on a sheet that shows the schedule. Everything changes with Revit 2014 because when you change a column width in either place, a sheet or the view itself, it changes in the other. This is, as my Spanish speaking friends say, Muy Mal!! Ay Caramba! That's probably too polite? I think it's safe to say that we've all wished for more control over column width from one schedule to the next. Imagine four door schedules, filtered by floor on separate sheets. Ideally we'd like the columns to be uniform widths from schedule to schedule. So we resort to tricks like an annotation family that provides the "columns" we want and we drag columns over until they cover the "column lines". Then we either delete the guide or "bury" it in a titleblock family with a yes/no parameter to control its visibility. This enhancement does not help that situation and worse because of the legacy behavior and the assumptions that users will having as they begin to use 2014 we will see lot's of, "Why are my schedules changing constantly?". Yes we can just create "working" schedules to deal with data entry and "sheet" schedules for documentation but it is unnecessary redundancy, we've got enough of it with other views already. I'm not looking forward to this "feature" getting in the wild. There IS a new Resize button for columns and a dialog appears that you we can use to enter a specific width. This means you can ensure that specific columns have the same width but it is a manual adventure, from column to column and schedule to schedule. It does work on multiple column selection so we can apply the same width to several columns at once. I believe the API does not provide access to this yet. That was my initial impression too. I have a workflow that utilizes the soon-to-be "old" method of having more control over the schedule column widths. I could have columns arranged on the sheet so that they looked good when printed, and have them set in the schedule view with column widths that were more useful in an analytical/engineering way, as well as fitting on my screen without scrolling sideways. Is there a way to lock the column widths in the Schedule View Template that could allow us to lock or even reassert the column widths if/when they become altered? (I don't have access to 2014 beta at the moment.) That would at least prevent a few surprises when the sheets are printed. Seems like this could be easily fixed by duplicating it for editing purposes. No column width management in 2014. No Browser Organization for Schedules/Quantities in 2014. Yes I am making a mountain out of a molehill. People will adjust but it is a subtlety that I preferred over what will now happen. If we could actually edit data on a sheet view like other views then it would be even less important or relevant. In order to see what happens we will now have to have both a the sheet view and the schedule view open. I personally will not edit schedule column widths from the editing view. Schedules can not be sorted in the project browser like other views. This means creating extra working schedule views will add to the clutter we already experience. We lose the ability to double click on the column divider to automatically resize the columns. Plus the column width that looks good in the schedule editing view is not the same width on a sheet. It is necessary to adjust this on the sheet in order to ensure that the columns look the way we want.